Let's cut to the chase. If you are shopping for the most fully featured HDTV with the highest picture quality, then the Samsung F8500 series of plasmas, should be at the top of your list. Indeed, it earns our Highly Recommended award. Of course, the models (51, 60 and 64-inch) in Samsung's flagship series are the most expensive plasmas they produce, but the display's picture quality can only be rivaled by OLED TVs, which cost at least three times as much. And when I say fully featured, I'm talking everything + the stainless steel kitchen sink (with the touchless faucet). The PNF8500 line of Smart TVs supplies enough Internet content providers to keep you swimming in the stream of media (visual, audio and social) until you are exhausted. You don't even need a paddle (the remote control) to navigate the waters. Samsung provides both Voice and Motion Control to pilot you through all the content options. Luckily, (like the Samsung UN55F8000 LED Smart TV that I reviewed), many of the flashier functions can be deactivated, which for me makes the TV easier to use. Then again, if you have grown accustomed to intimate tête-à-têtes with your smartphone, talking to and waving at your TV should be quite natural. Samsung's Real Black Pro Panel delivers a deep, rich picture that can only be matched by thrice more expensive OLED TVs. Ah, the delectable decadence of plasma TVs. The sound from the integrated pair of 10W speakers is respectable, but the plasma display deserves a more robust multi-channel system. With built-in Wi-Fi, apps, an integrated video camera, voice recognition, motion control, 3D, ARC support, Bluetooth and MHL connectivity, and more apps, this Samsung PN60F8500AF is overflowing with features. Occasionally, I find this Smart TV too smart for its britches. It seems to have a mind of its own. With a little study and a firm hand, you should be able train it while it tutors you. On their website, Samsung lists the suggested price for the PN60F8500AF as $3799. I wince at that number, even for this gorgeous, feature-rich TV. At the time of this review, the tag was cut to $2599, which soothes the sting. And as a holiday incentive, you receive a $200 gift certificate to use on the Samsung site. It's still a stretch, but you are buying the crème de la crème of HDTVs - and a 60-inch one to boot. 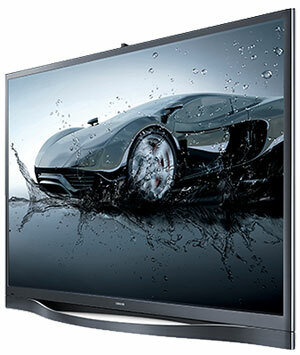 ATTN SALES MANAGER MARKETING MANAGER PLEASE EMAIL YOUR PRICES FOR PLASMA TV 51INCH. 60 INCH 64 INCH.